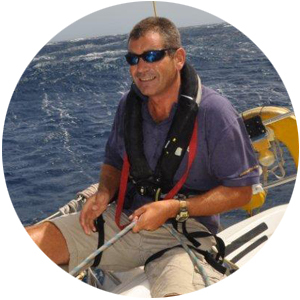 This course is for aspiring skippers who have some yachting experience and basic understanding of navigation. This course concentrates on the two most difficult aspects of skippering a yacht for the beginner: pilotage and boat handling. Each trainee skipper will be asked to skipper the yacht on a short passage. Your instructor will be on hand to give advice and encouragement and to ensure that your destination is reached safely. The essential element is that you experience being in charge and take the credit when all goes well, but also have responsibility when it doesn`t. The end of each day is usually spent around the chart table discussing the passages and gaining from each other`s experience. Day Skipper Practical is the normal follow on Practical course from Competent Crew, however the theory knowledge must be gained prior to attempting this practical course. The course will cover, preparation for sea, deck work, navigation, pilotage, meteorology, rules of the road, maintenance and repair work, engines, victualing, emergency situations, yacht handling under power, yacht handling under sail, passage making and night cruising. Basic navigation & sailing ability. Ideally you will have attended the Day Skipper Theory Shorebased. The minimum age limit on this course is 16 years of age. At the end of the of the course, you should be able to skipper a small yacht in familiar waters by day. This RYA Day Skipper Practical certificate is recognised around the world and is ideal for people looking to charter their own yacht in the future. Has experienced sail cruising at night.